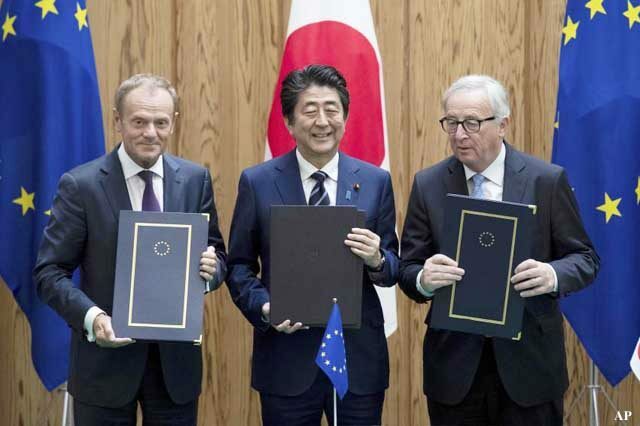 The European Union and Japan signed a landmark trade deal on Tuesday that will include all commonly used products except cheese. European Council President Donald Tusk said the deal is “the largest bilateral trade deal ever that doesn’t involve cheese”. 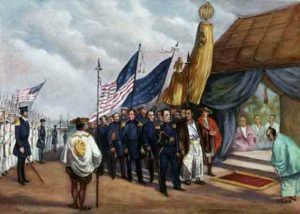 Foreigners have been starved of decent cheese in Japan since Commodore Matthew Perry sailed into Tokyo Harbor in 1853. Perry and the American government managed to open up Japan’s borders soon after but Japan has remained strict on cheese. “No cheese,” the Japanese emperor told Perry in one letter. Despite white people knowing how to produce amazing cheese, European Commission President Jean-Claude Juncker says Japan “didn’t want a bar of it”. “Prime Minister Shinzo Abe wouldn’t know a good cheese if it hit him in his disproportionately large face,” he said.